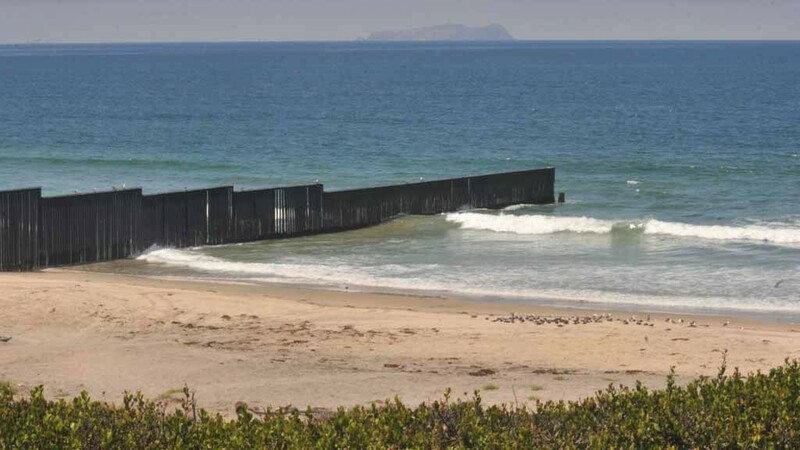 The fence into the ocean shows the U.S.-Mexican border. A man’s body was found floating in the ocean late Friday afternoon near the U.S.-Mexico border. Deputies from the sheriff’s Imperial Beach substation received a radio call about 5:25 p.m. to assist the U.S. Border Patrol with a body spotted floating near Border Field State Park, according to sheriff’s Sgt. Felix Santiesteban. The body was pulled from the water by border patrol agents. Efforts to revive the man were unsuccessful, Santiesteban said.